You have filed for Bankruptcy, but your mind has been changed before the bankruptcy is granted, are you able to cancel or reverse the bankruptcy? The process of cancelling or reversing your bankruptcy is known as a Bankruptcy Annulment. Why Reverse or Cancel Bankruptcy Proceedings? Essentially, there are three main reasons that you might want to reverse proceedings. Each of the above reasons will have their own ramifications to the way in which the bankruptcy annulment is handled. Who Can Order an Annulment? An annulment on a bankruptcy can only take place upon an order of the courts. If anything happens to prevent you from seeing your bankruptcy through until completion, then you must immediately contact the courts where the bankruptcy was to take place, and apply for an annulment. In doing so, the application must apply to the exact reason that you have chosen to halt bankruptcy proceedings. You may also be required to provide a witness statement or an affidavit to back up your claims. It is also important to ensure that you have all of the additional paperwork, showing where your debts have been paid in full or secured. Alternatively, proof of entering your IVA must be sent with your application. These items are of paramount importance to convince courts to annul your bankruptcy, saving your credit record and also any embarrassment caused by the order not being properly obtained. Will the Bankruptcy be removed from the Register? Following successful annulment, your status will be returned to pre-bankruptcy with all of your creditors. Any property that has been disposed of by the Official Receiver and trustee will stay in effect, and will be applied to your debts. These assets cannot be retrieved, however, any other assets that the court are currently holding as part of the bankruptcy will be returned to you. 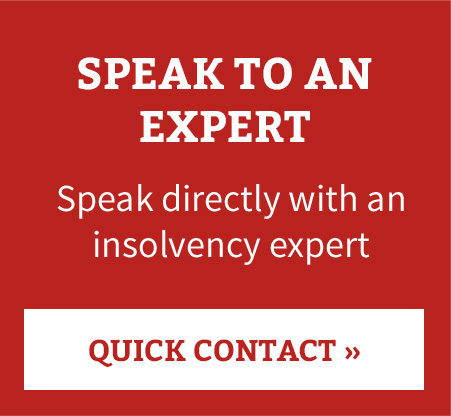 If a bankruptcy is cancelled or reversed due to the payment of debts or the making of an IVA, the record of the bankruptcy annulment will take two years to be removed from the public register, from the cancellation date. If a bankruptcy is cancelled, however, because it should not have been made, the record will be removed immediately. Individuals looking to avoid the public register altogether can apply for a ‘stay of advertisement’ with the courts. This will prevent courts advertising the fact that bankruptcy proceedings took place and have been halted. This can be completed before you even apply for an annulment. If you would like to discuss bankruptcy, or a bankruptcy annulment, please contact Parker Andrews for a confidential no-obligations discussion about your situation.